You know all of those cutting schemes and butcher's guide posters that have been popular for quite a while now? Usually with an illustration of a cow, marked up with cutting lines and names for all the different parts? I got so tired of them... It's 2018, folks! Let me introduce the Vegetarian Butcher's Cutting Scheme, featuring the fabulous beetroot! Photography and design by me. Available in an English version here and a Swedish version here. This project was one of my favourite projects ever. Partly because the product is awesome (a night balm for very dry and damaged skin – trust me, if it can combat my cracked heels it can combat anything!) and partly because I just LOVE packaging design. 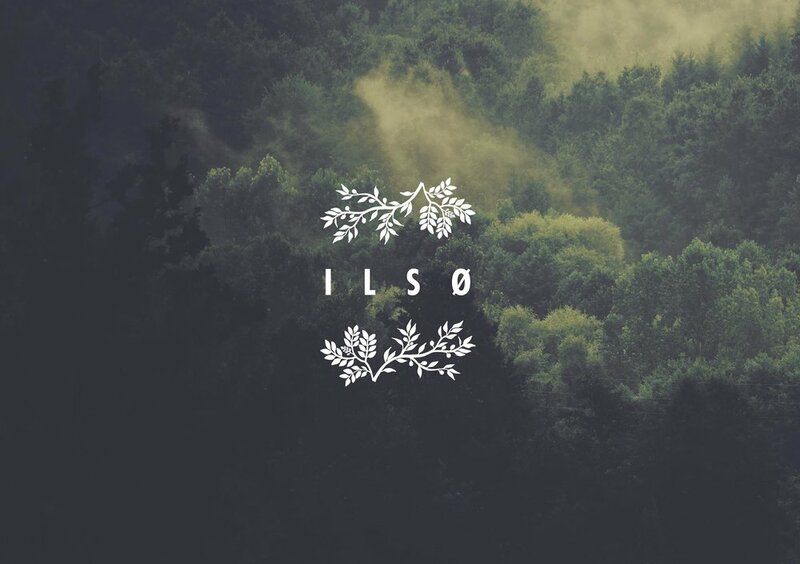 ILSØ is packed full with natural ingredients, so I knew I wanted the logo, packaging and all-over feel of the visual identity to convey that. I had this idea of a really stylistically pure and minimalistic logo that at the same time was unique, personal and warm/friendly. 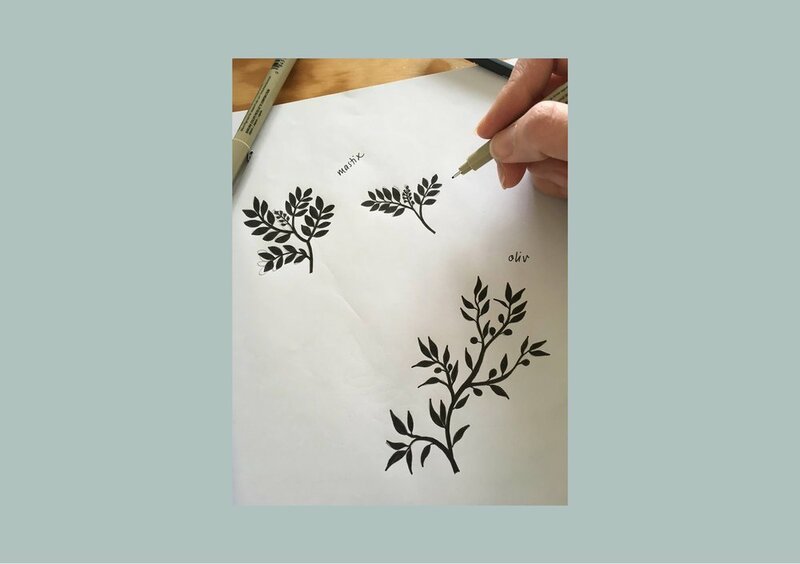 To achieve this, I made a hand drawn illustration of two of the main ingredients mastic and olive, and combined them with a minimalistic, modern, classy looking font. ILSØ also has a unique story that I wanted to share through the look and feel of the packaging. For centuries this specific mixture of ingredients has been known and used by certain dermatologists who prescribed it to patients with really dry, damaged skin. It has been mixed in the back of pharmacies for ages, but only for the lucky few with a "secret" recipe. 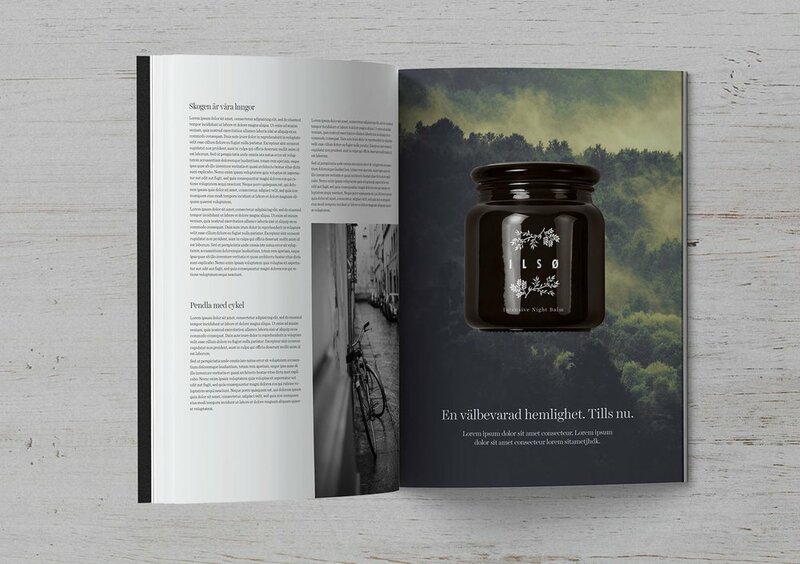 With ILSØ this secret recipe is finally available to the public, and I wanted to capture the history in a modernised version of the old style dark brown glass Apothecary jar. The natural ingredients and the Scandinavian heritage is prominent in the visual identity, using images of beautiful foggy forests and lakes. I can't wait to see the actual finished product on the shelves of Swedish pharmacies! So... LONG time no see! I've been such a bad Instagrammer and blogger, due to loads and loads of client work. Great for my little business, not so good for my own creative little projects. But, August provided some breathing room and I finally got around to updating my webshop! Let me present Seventy-five year plan! Dear Suzy is history (long story short, a big company opened up and decided to call themselves Dear Sam... which felt a bit... well, too similar to say the least. And I didn't have the time or energy to get into some kind of brand infringement dispute, so I took a deep breath and decided to rebrand). But all that said, I'm now completely in love with my new brand and name! My guess is that most people (who aren't Wes Anderson-nerds like myself) won't have a clue what Seventy-five year plan stands for, and that's just the way I like it. Also, I really like the obsessiveness associated with the name. Who in their right mind makes a seventy-five year plan? Well not me, that's for sure (I can't even make a one month plan and stick to it, let alone a plan for "where I want to be professionally in five years time" or something like that). But I do love lists. Daily to-do-lists, weekly to-do-lists, dinner planner lists, shopping lists... mmmm lists! Lovely. Right now I have a small collection of posters and a couple of iPhone cases for sale. Another new thing is that I scrapped Society6 and started working with Printful instead, which means great quality and also: fulfilment in both the US and Europe. That means no more customs fees or added postage fees as a nice surprise (I don't know how many times I've happily ordered something from the US, only to end up paying twice the amount in added fees when picking up the package!). How great is that?! So go get a new phone case and inject some botanical goodness into your increasingly darker autumn days – you deserve it! My webshop Dear Suzy Studio is finally up - yaaaay! To start with, there are a few posters available, and I also added links to a few of the products I sell through Society 6. The poster Hälsingeskogar is photographed during an early fall trip to my dad in Hälsingland, northern Sweden. We went out to the forest early in the morning to pick blueberries, and there was this thick, fairytale like fog that you could almost touch. I just had to leave the berry picking to my family and concentrate on the photography. I also added links to my favourite Society6 products. I'm seriously in love with their backpacks, and how CUTE my botanical patterns look on them. I think it's a perfect match (if I may say so myself). I just ordered the Ranuculus & Eucalyptus backpack for my daughter, but had a hard time choosing between that and the Sweetpea one. We could all use some vintage botanical cuteness to brighten up the November greyness! Both the Ranuculus pattern and the Sweetpea pattern are also available as iPhone covers. What I really like about Society 6 is that they offer both traditional iPhone covers, iPhone skins and Clear iPhone cases (pictured above). Something for everyone. Oh, and if you use the code LOVEART25 you get 25% off everything at Society 6! But hurry, the offer ends tonight! My dear friend and fellow creative freelancer Mina at Little World Creative needed a logo and a visual identity, something I was happy to help with! I really value my freelance friends, not just because they're all awesome people, but because it really is helpful to be able to discuss the ins and outs of freelancing, creative decisions and client relations with someone who truly understands what you're going on about. Mina and I actually used to have a podcast about freelance life, and even though it took up SO much time (which is why we had to let it go) I truly enjoyed our little chats about big and small freelance related things. Maybe we'll just have to take it up again! It's always fun to be given relatively free hands on a project and for someone like me who loves to do it all (graphic design, art direction, illustration! 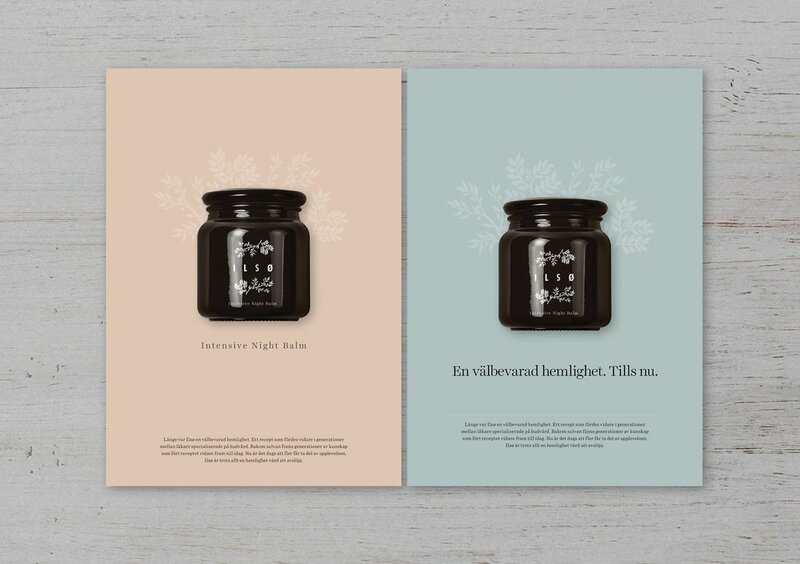 ), it was lovely to work with Hyresgästföreningen and Arenagruppen to make educational material for high school students in Sweden. I wanted to make something that I would have been excited to pick up as an 8th-grader myself, as I remember that I always cringed at the sight of most of our books and educational materials in school because they were so badly designed (I guess/hope that it's a lot better nowadays, but still). The material is about housing today and historically, so I thought it would be nice to draw an inviting pastelly house pattern for the cover. The pattern was then used again in a different color setting on the introductory pages, and complemented with colorful vector graphics throughout the material. Oh my goodness, I've just been super busy for the last weeks. Just waking up, getting the kids ready and dropping them off, driving home, opening the computer (such an unnecessary time consuming step to actually turn it on and off), work work work like a maniac, picking the kids up, cooking dinner (while still working if possible), eating in front of the computer, putting the kids to bed, work work work, collapse in bed. Repeat. Sigh. Must catch my breath. Anywho... It's all good, since the projects I've been working on are all super fun! They all made me think "now, THIS is what I should be doing!". Me loves identity projects. Especially if the client is awesome and gives me relatively free hands and actually trusts my judgement. Yay for awesome clients! Here's some pics of the first identity project (out of three that I've been working on simultanously) – Rullebo, awesome tiny houses on wheels! The copy is in Swedish and translates to something like: House. Haven. I really like the hand made feel of the letters. These tiny wooden houses are really well made out of quality materials and it felt nice to channel that. With some imagination you could picture the little "u" and "o" as the wheels, and there's a roof on top of course. This solution only came to me after hours and hours of sketching little pictogram houses to use as a symbol above the name. Sometimes you're just not seeing the obvious. To complement the basic black/white/wood I added a birch bark texture and a brown recycled paper texture to use throughout the identity, where applicable. Below are some brochure sketches (using sketch photos found online just for look and feel, as we're about to shoot our own).